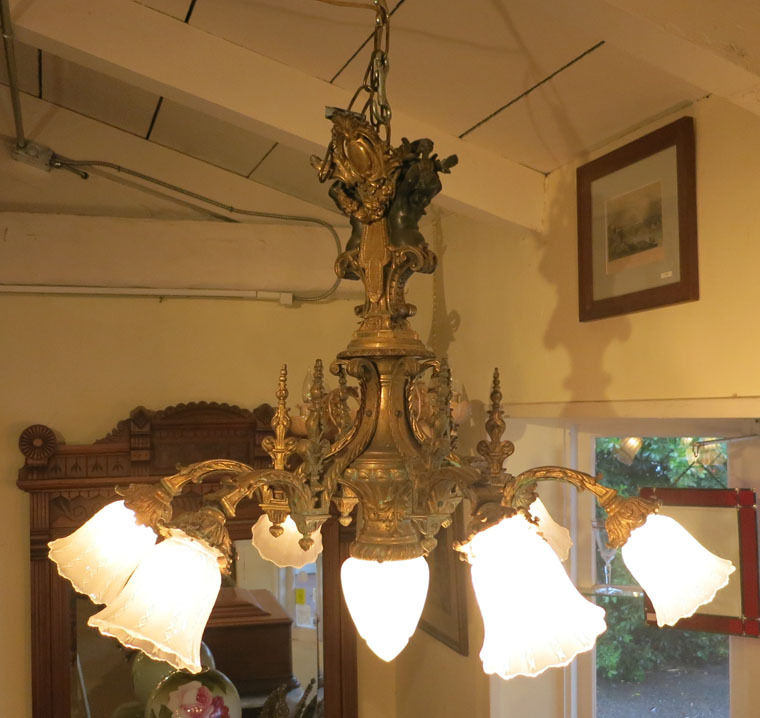 French Bronze Chandelier -- Incredibly beautiful all bronze chandelier converted from gas. It has eight arms, and above that are two black Nubian figurines. 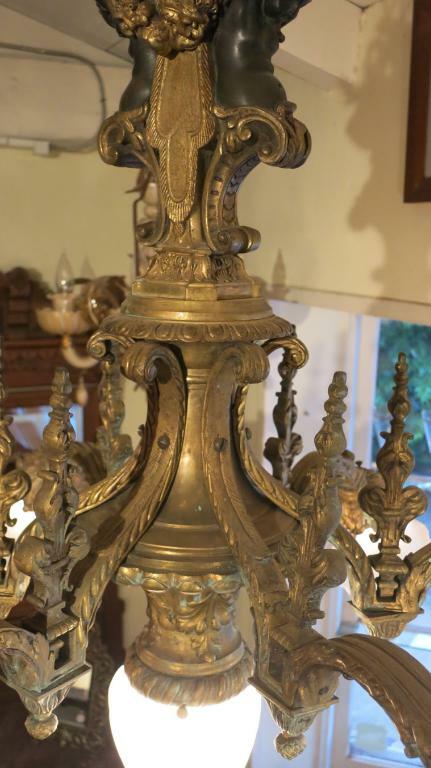 The chandelier is all original, but I believe the shades to be replaced. It measures 26" tall x 35" wide. Incredibly beautiful all bronze chandelier converted from gas. It has eight arms, and above that are two black Nubian figurines. 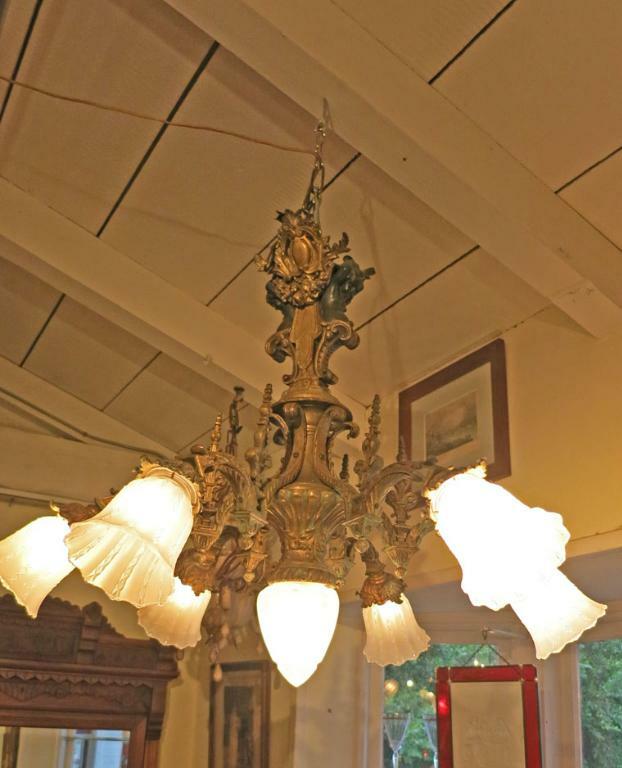 The chandelier is all original, but I believe the shades to be replaced. It measures 26" tall x 35" wide.